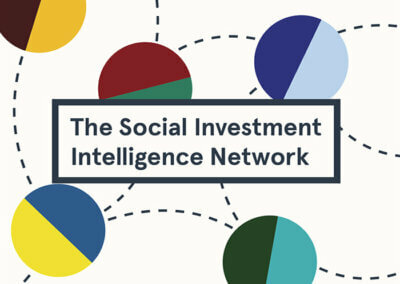 The Social Investment Intelligence Network (SIIN) is a new initiative, led by Social Spider and funded by the Connect Fund, bringing together a group of charity and social enterprise leaders from around the country to provide informed perspectives on developments in the social investment market and discuss how the market could work better for their organisations and others. The SIIN panel meets on a quarterly basis, with a short report published after each meeting to reflect the discussions and provide timely information to the market. The third meeting consisted on discussions on recent developments and member’s updates, and on place-based funding. You can find the report on the third meeting here.